Recently someone asked me which sites I frequented for music downloads. Legal ones, that is. Heh. I really didn't have to consider the question for long. Over the last two years, I have settled into a fairly predictable music routine that costs me about $15/month. I stream Last.fm tunes while I'm hanging at the house doing things like blogging or laundry. It's a "smart" music recommendation system that learns what I like and what I don't like. This includes distinguishing an artist I don't like from a track I don't like. And if I like what I hear, I bounce over to Emusic.com and download it. "After hooking up with two high school friends, T3 and Baatin, they formed the crew called, Slum Village (circa 1988), and Jay started to polish his rhyming skills to match his dope production. As Slum Village began to show themselves in Detroit and around the east coast Jay was also busy getting his production noticed by other artists in the music industry. One thing led to another and by the end of 1996, Jay Dee had produced joints for the likes of The Pharcyde, Keith Murray, Busta Rhymes and De La Soul. After hearing Jay’s ill production’s Q-Tip (A Tribe Called Quest) brought him in to lend his production to their 1996 release “Beats, Rhymes and Life”. 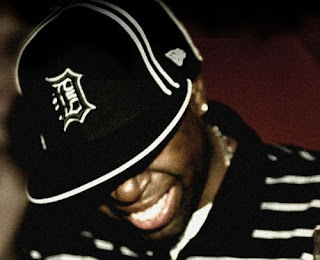 Jay Dee became one-third of the ghost production team now known as the Ummah, which included Q-Tip and Ali Shaheed. That year also saw the first release of Slum Village with “Fantastic Vol. I”, a classic hard to find item. A chance meeting with Janet Jackson, led to his 1997 remix of the chart topping “Got Til’ Its Gone” single that paired Janet’s smooth vocals with Jay Dee’s intoxicating drum kicks. Now dabbling in other music genre’s, Jay went on to lace beats for artists like Macy Gray, D’angelo, N’Dea Davenport and Erykah Badu. 2000 was a stellar year for Jay Dee, with his group Slum Village finally releasing their critically acclaimed “Fantastic Vol. II” through Goodvibe Recordings, he also received notoriety with many other acts. With the Ummah production team defunct (due to the breakup of Tribe Called Quest in '99), Jay Dilla became a member of The Soulquarians, which includes Ahmir “?uestlove” Thompson (The Roots), James Poyser and D’angelo. Jay produced a substantial amount of Common’s 2000 release “Like Water For Chocolate” which not only reached the homes of 500,000 consumers (LWFC went gold) but also secured Jay a distribution/recording deal with MCA Records for his McNasty label." HD-DVD is dead. Long Live Blu-Ray!! !